Great for repair problems like TPO, TEO and PP Materials used in Car Bumpers. Plug Type: Two-Prong Polarized Plug. 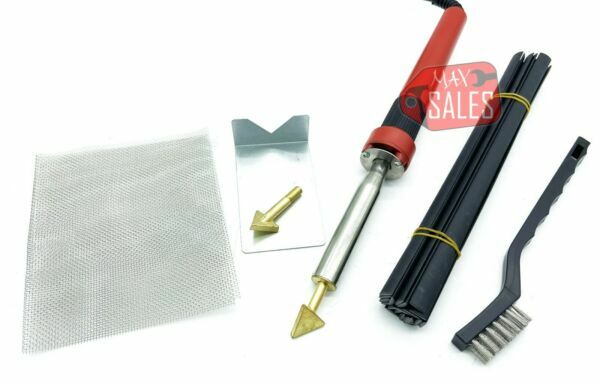 1 Pc - 10-3/4" Multipurpose Soldering Iron with 57" long wire. Protective packing material will be added in your package if we believe item can be damaged easily in transit. Please allow 1-2 business days handling time for payment processing and shipping. Tracking numbers will be available in 24 hours except weekends and holidays. All exchange items must be in 100% brand new condition. Items must be returned by the same method use for delivery.